Punch CrawZ`s streamlined, compact design is ideal for effortlessly penetrating grass mats and other thick surface cover without hanging up. An ideal finesse jig trailer, it really shines when pegged on a heavy gauge flipping-style hook. 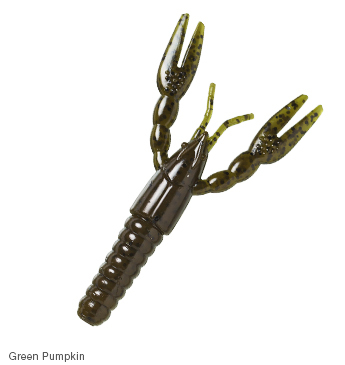 Their buoyant claws float up to mimic the defensive posture of a crawfish at rest, driving bass crazy. Вы сейчас на странице: Z-MAN Приманки мягкие ZMAN Punch CrawZ Punch CrawZ.